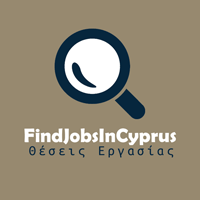 EuropeFX is now expanding its team and is seeking to recruit a Brand Manager to join us in our Limassol offices. As Brand Manager you will be on charge for developing, implementing and executing marketing initiatives and activities for our particular brand. If you are interested in applying for this position, kindly send your CV to [email protected] quoting JB-44 in the subject line. We would like to continue informing you of potentially suitable job vacancies that match your skills and experience that become available via phone, email and/or SMS. If however, you do not wish to receive any contact from us moving forward and wish to have your personal details removed from our records, please send an email to [email protected] within a month, requesting that your details are deleted. As a company, we are dedicated to offering the best possible range of products and services while maintaining the highest standards of customer service in the industry.